After last nights victory against Crystal Palace, James Forster believes glory is coming soon. As I reflected on the semi-final loss to rivals Chelsea, I couldn’t help but feel a mixture of disappointment and hollowness. To dominate the league leaders for the majority of the game but come out on the losing side of a 4-2 score line was a bitter pill to swallow. However, I couldn’t be more proud of our club: the way we are managed, the values we uphold and what we are building. Mark my words when I say that I genuinely think our time will come in the not-so-distant future. All the factors are in place for success. We have a fantastic young manager who has the utmost respect of all the players. It is evident that every player has complete faith in Pochettino’s system. With a manager of Mauricio’s class comes stability, something we’ve yearned for years. The spine of the squad is the strongest I’ve seen in my lifetime. Sometimes after watching this Spurs team I’m left astonished: astonished at the intensity and ferocity of our players, the individual skill of young maestros such as Dele Alli, and the lethal consistency of Harry Kane. I think a lot of Spurs fans will echo that we’re absolutely fantastic to watch. What’s left for this team is to discover that final cutting edge to win trophies: to really turn it on in the games that matter most. The ruthlessness that dare I say it a team like Chelsea show. The thing we need to understand as fans is this cannot just be taught. It only comes with experience. These hollowing moments like the semi-final help us learn for our future. Look at the All Blacks rugby team – a team that epitomises a winning mentality and lethal edge. They are back-to-back world cup champions and currently hold a seven-year home winning streak. For years on end before their 2011 world cup victory, the All Blacks would dominate the regular season and anyone who stood in their wake. However, they always fell when it truly mattered, with shock defeats at every world cup since 1987 until their magical year in 2011. Over the last two seasons, Spurs have shown a similar pattern, arguably being the best football team in the league but frustratingly falling short in the games that truly matter. My hope is that Tottenham will eventually get there. That they’ll have their breakthrough that will cement itself in glory and all that comes with it. We are so despairingly close. The progression under Pochettino has been rapid – but we must remember that the team is still young and learning. As fans we must have patience and have faith in Pochettino’s project. Our game against Crystal Palace was a great statement and has shown how far we’ve come as a club. Many past Spurs teams would’ve failed with their backs up against the wall, whereas this team showed resilience, patience, and a moment of brilliance when it truly mattered. It really does bode well for the future. Enjoy these moments as a Spurs fan. The incredible football we are playing. The quality of players we have on show. Let’s stay together as fans of this club, and cohesively be as strong as we can for the remaining huge games this season. 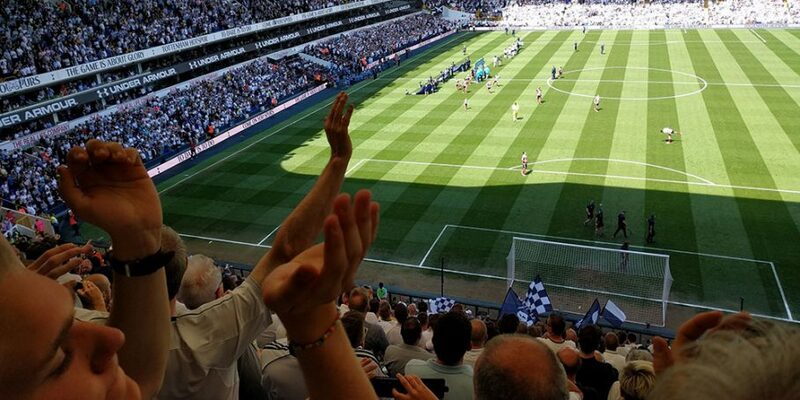 There’s nothing quite like the Lane rocking on match day, the echo of the many Spurs songs passed down the generations, and the infectious cheer of thousands after a goal is scored. 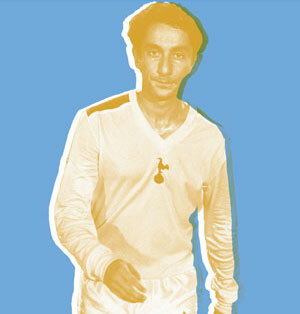 Absolutely Spurs mad - to dare is to do!